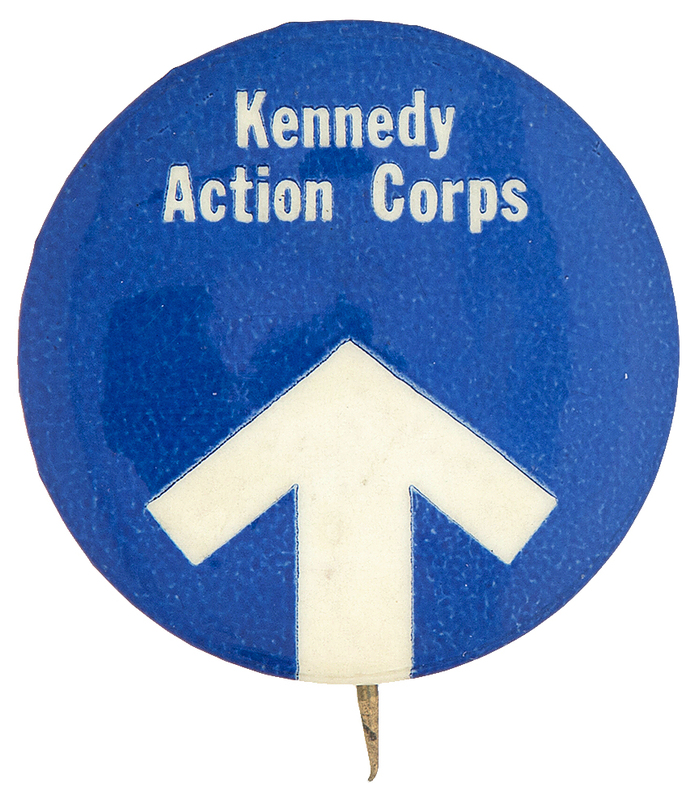 Item Detail - ROBERT KENNEDY 1968 CAMPAIGN BUTTON. 1.5”. Used by volunteers in “Kennedy Action Corps.” Normal oxidation on tin reverse. Near Mint displaying Mint.